Please fill out the case evaluation form below and Submit Now, or call Burg Simpson directly at 513-854-1778 today, to speak with a Personal Injury Attorney. Were you injured by a condition on someone else’s property? Is an insurance company not providing you with the help you deserve? If so, Burg Simpson may be able to help! Do not wait to call the personal injury lawyers at Burg Simpson to discuss your legal rights. When you get in your car, enter someone else’s property, or simply walk down the street, you expect that others will act reasonably and not cause you harm. When this expectation is broken, serious injury can occur. If you or a loved one have been injured because of the intentional or careless actions of another, you may have a legal claim for personal injury. A personal injury attorney in Burg Simpson’s Cincinnati office can help you pursue your legal rights and get the justice you deserve. Contact a Cincinnati injury lawyer right now by filling out a FREE Case Evaluation form here, or call us directly at 513-852-5600. “Personal injury” is a broadly defined term used to describe claims that result when a person is injured and someone else may be responsible for that harm. This often requires proving that the other person acted negligently (or otherwise breached the necessary standard of care) and as a result, you suffered an injury. Personal injury claims can arise in a nearly unlimited number of situations and can be caused by individuals or businesses. Just as the numerous causes of personal injury claims may vary, so too can the resulting injuries, ranging from whiplash and sprains to catastrophic limb loss, spinal injuries, and death. Victims of personal injuries may be able to recover compensation for resulting damages such as their pain and suffering, lost wages, and emotional trauma. 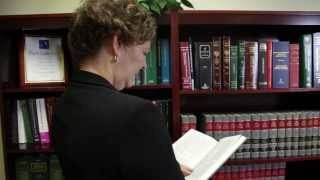 What Types of Personal Injury Cases Does Burg Simpson Handle? If you were involved in an automobile collision and suffered injuries, you might have a claim against the other driver. If you were a passenger, you could have a claim against either or both drivers. However, motor vehicle claims aren’t always limited to the drivers. For example, if the claim involves someone who was driving as part of their job, such as a truck driver or a salesperson, you could have a legal claim against their employer. Or if poor roadway maintenance contributed to the collision, you could have a claim against the government or the responsible contractor. Often, highway collisions result from defects in the vehicle itself. In these cases, you could have a products liability claim. A Burg Simpson personal injury attorney can evaluate your specific situation to identify any of these claims. If you are harmed by the intentional or careless driving of another, you can hold them responsible. Call Burg Simpson’s Cincinnati, Ohio office at 513-852-5600 and speak with a personal injury lawyer now or fill out our Free Case Evaluation Form. When you set off for a bike ride or walk, you expect that motor vehicle operators will act reasonably to prevent causing you any harm. Unfortunately many drivers do not. In 2015, for example, nearly 5,400 pedestrians and more than 800 bicyclists died in motor vehicles crashes, according to the National Highway Traffic Safety Administration. Unlike anyone in a motor vehicle, cyclists and pedestrians do not have the benefit of a car’s protective features, and as a result, are far more likely to be critically injured or killed on the road when they are struck. However, simply because they lack the protection offered by a car, does not mean they deserve anything but the full protection of the law. When you drop your children off at daycare before heading to work, you have faith that the daycare facility and its staff will keep your child safe. You’re counting on the daycare professionals to provide careful supervision of your child. You pay them to act reasonably to ensure your child returns to you better than when you left them. But if this trust is broken and your child suffers a serious injury at daycare, there can be significant lasting physical and emotional pain for your entire family. Speak with an daycare injury attorney to get the help you need. While accidents can strike under the best of circumstances, they are particularly painful when they take place in a daycare setting, where the children are under the care of trained professionals whose job is to keep them safe. When a child’s injury is caused or even made worse by a daycare provider’s failure to deliver appropriate care, or to take sufficient precautions against foreseeable harm, the daycare could be liable. If your child has been seriously harmed in a daycare accident, the daycare injury lawyers at Burg Simpson Ohio are there to help. Property owners are required to maintain their land, buildings, structures, and surrounding areas to certain standards. Property management companies, maintenance companies, snow removal companies or others also might be responsible if they fail to safely maintain property, structures, or equipment. Negligence in maintaining property can lead to dangerous conditions and cause serious events, such as falls, fires, explosions, and drowning. Often, the property owner has a heightened duty to protect anyone invited on their property from such risks. If you’ve been hurt while on someone else’s property, you can hold them responsible. Farm work consistently ranks as one of the most dangerous jobs in America. As recently as 2015, it placed fourth on the Department of Labor’s list of most dangerous occupations. The country’s more than 2 million agricultural employees are constantly working with heavy equipment and livestock. Transportation incidents, led by tractor rollovers, are the single most lethal hazard that farm workers face, killing about 100 of them every year. The best way to protect these workers is to equip tractors with Roll-Over Protection Structures that safeguard the operator in the case of a rollover. But less than 60 percent of the country’s tractors are equipped with these devices. If you’ve been seriously injured in a tractor rollover accident, the Ohio and Kentucky personal injury lawyers at Burg Simpson can help. Trucking accidents are unlike other motor vehicle accidents. Because of their immense size and weight, tractor-trailer trucks can cause extensive damage to just about anything that crosses their path. This includes passenger vehicles and the people inside them. When a collision like this happens, injuries can quickly turn fatal. Trucking companies have a responsibility to monitor their drivers and maintain their equipment. Drivers who do not adhere to their specific licensing responsibilities or trucking laws, or who were driving carelessly, can also be found at fault. If you’ve been seriously injured in a trucking accident, the trucking accident injury lawyers at Burg Simpson in Cincinnati can help. Multiple parties may be found to be at-fault for a trucking accident, including the trucking company, the person who was driving the truck at the time, and even the manufacturer of the truck or its assembled parts. Call the Cincinnati office of Burg Simpson as soon as possible at 513-852-5600 to determine if you have a case or you can fill out our Free Case Evaluation Form. Wrongful death and catastrophic injuries can occur in any number of situations resulting from the careless actions of others. With such severe injuries you need an experienced law firm that understands what it takes to get you the compensation you deserve. At Burg Simpson, we have decades of experience representing victims who’ve suffered catastrophic injuries, and we understand what it takes to convince a jury to award just damages for these horrible accidents. Economic damages: These damages are designed to compensate you for medical bills, lost wages, and any other relevant expenses incurred the accident. Non-economic damages: These are meant to compensate you for emotional trauma, pain and suffering, social or familial stress, and other, less quantifiable losses. Punitive damages: Punitive damages are designed to punish the responsible party. If you or a family member has been seriously injured or even killed in an accident caused by another, you need a knowledgeable wrongful death attorney to represent you. Burg Simpson has the experience and resources to handle the most complex cases. Call the wrongful death lawsuit attorneys in Burg Simpson’s Cincinnati office as soon as possible at 513-852-5600 or complete our Free Case Evaluation Form. WHAT STEPS SHOULD I TAKE FOLLOWING A PERSONAL INJURY? After you receive the necessary medical attention, save any and all documentation and evidence you may have in your possession that may help prove your claim, including medical records, receipts, and witness statements. If you are able, take photographs of the scene of the accident and/or your subsequent injuries. This evidence will help an insurance adjuster or jury understand and believe your claim. It is always a good idea to contact a lawyer for a free consultation to confirm whether you have a potential case. This is especially important in cities like Cincinnati, where the laws can change within a few miles, depending on where you live or where the accident occurred. Get in touch with a personal injury lawyer before it is too late. Keep in mind there are laws that set time limits for when you can file a lawsuit. The statute of limitations can change depending on where you live or where the event occurred. For example, Ohio and Kentucky have different deadlines for filing claims. These limitation periods have many exceptions and nuances. Do not try to figure everything out on your own! Reach out to our lawyers in Cincinnati immediately to discuss your case with us for free. Do not waste any time! Call Burg Simpson’s Cincinnati office at 513-852-5600 to speak with a trial attorney today. Burg Simpson has a national reputation for standing up for injured individuals in courtrooms across the country. With seven offices in six states and more than 60 attorneys, Burg Simpson has the resources to fight for individual consumers against the biggest corporations in the United States. The personal injury attorneys in Burg Simpson’s Cincinnati office are part of Burg Simpson’s dynamic team serving the people of Ohio, Kentucky, and the nation. The lawyers in Burg Simpson’s Cincinnati office have a history of success protecting individuals in the mid-west and throughout the country. For example, Burg Simpson’s Ohio attorneys have successfully pursued actions against negligent drivers, property owners, manufacturers, and more. They can help you too! 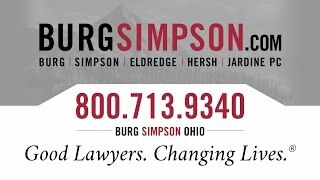 Call the attorneys in Burg Simpson’s Cincinnati, Ohio office today at 513-852-5600 or fill out our free case evaluation form now to discuss your case with us.